To Bid Or Not To Bid on Your Branded Keywords? As a PPC manager for an agency, I have heard multiple reasons from clients why not to bid on their own branded keywords. “Branded searches should lead to Organic/Free clicks” is definitely the most common. But what if it doesn’t… what if a search for your brand leads to a competitor’s sale? Let’s say a potential customer is looking for you, but he or she found your competitor instead because you assumed branded keywords generated free organic traffic to your site. That’s a loss for you and a win for your competitor. Who would want that? 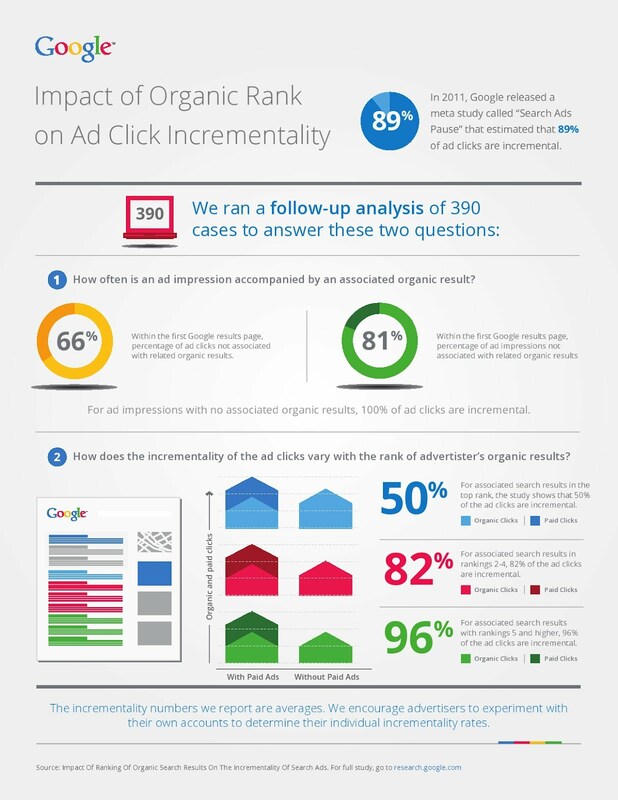 Does Paying for Branded Keyword Clicks Help or Hurt Your Bottom Line? If your competitor is bidding on your brand name and you are not, there is a good chance their ad is showing above your Organic listing. This means they are likely stealing clicks which could be leading to sales. This would definitely be hurting your bottom line! If you are bidding on your branded keywords, you should easily have a high Quality Score and therefore, should only need a minimal bid to capture the #1 position. This would prevent competitors from stealing potential clicks and sales away from you. However, does it help your bottom line or just do damage control? Fortunately, studies looking at running Pay per Click (PPC) for keywords that you already rank for organically have already been analyzed and written. Thank You, Search Engine Land (@sengineland) and Google Research (@googleresearch)! Nice and really useful post you have shared here.